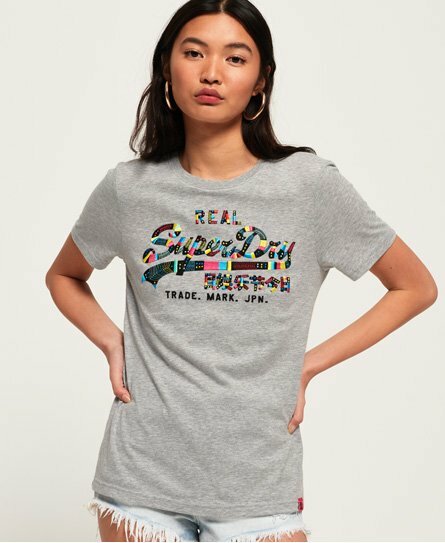 Superdry women's Vintage Logo boutique embroidery t-shirt. This classic crew neck t-shirt has been crafted from luxuriously soft fabric, making it a great everyday piece. Featuring an embroidered logo design on the chest and logo tab on the hem, pair this with skinny jeans and trainers for a relaxed look.